Christmas is only a few weeks away and we are preparing for celebration of the season. People are hopping to the retail markets or online stores to shop before the rush. If you are thinking to gift crackling and affordable mobile phones on a budget, there are two charming and underdog mobile phones available on a budget. We will write the benefits and then do a quick hands-on review of the features and price in this post. Wind 3 is an extremely budget friendly phone available with the price tag of Rs.7380. If you consider the price tag with free internet and calling feature, it is indeed a very smart choice. It is VOLTE ready with HD voice and video call facility. Wind 3 provides unlimited entertainment as it is powered by Qualcomm® Snapdragon™ quad-core 64-Bit Processor and 2 GB RAM for a lag free online/offline media viewing experience. With a better GPU, the gaming experience is faster and you can enjoy long time gaming without any lags. Equipped with a solid and massive 2920 mAh battery, you can enjoy a whopping 13 hours of talk time, 5 hours of video playback, and 19 hours of music without looking out for a charger. The phone also offers a dazzling and jaw-dropping display with an immersive color pattern for a sharp picture quality. The screen is a 5.5 IPS display screen which has better viewing angles and you can easily enjoy HD games with 5-point multi-touch support. Overall, the screen is lively and bright for a good viewing experience. If you think the design aesthetics might be a little dull to match the price range, you are wrong as the phone has got curvy edges and matte finish to make it look stylish. The screen is protected with Asahi Glass to ensure smudges and scratches have minimum effect. 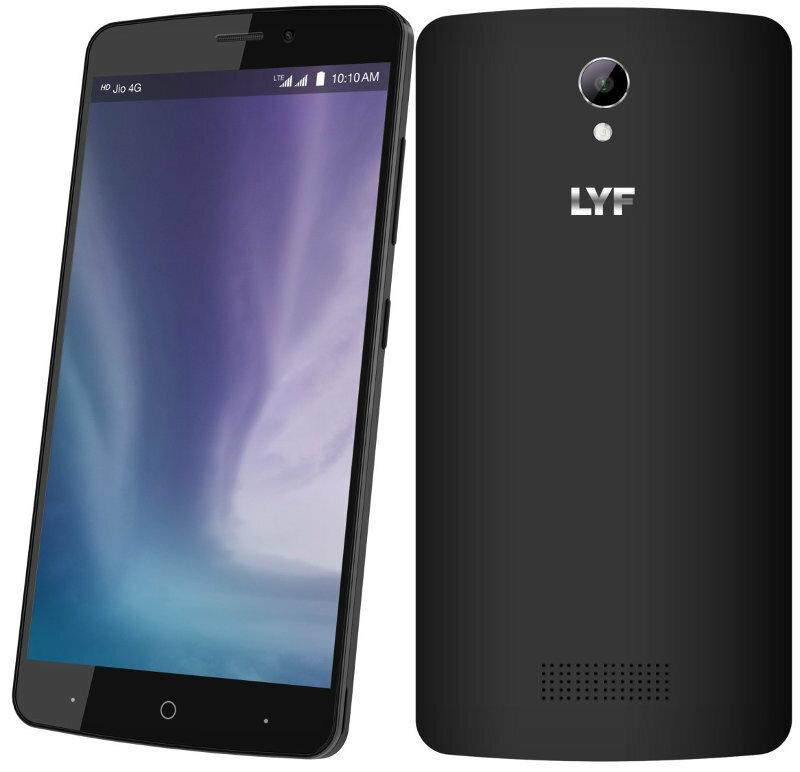 This LYF Mobile phone features QR code scanning and provides quick access to messages, websites, and much more with ease. 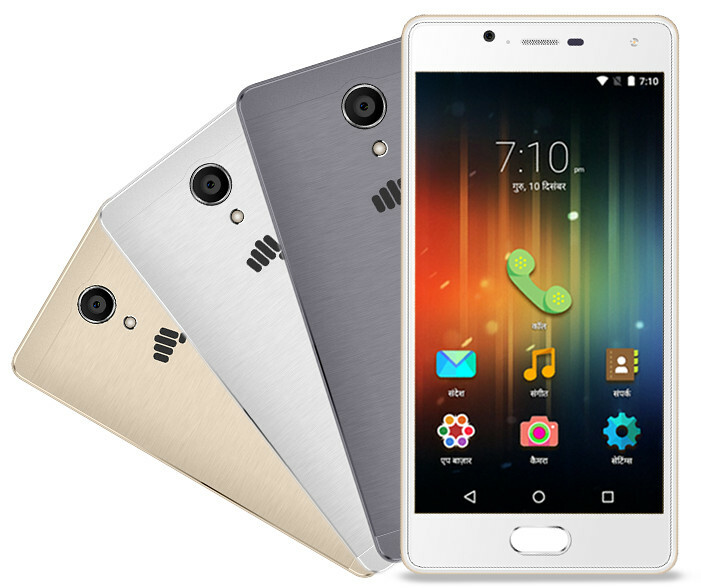 This amazing Micromax Mobile Phone is boosted with an elegant metallic body with a very stylish design aesthetics in the range of Micromax Mobile Phones. The 5-inch HD IPS display is protected with Corning Gorilla Glass 3. The user interface is smooth and surprisingly, the screen has the appropriate color contrast and fragmentation quotient to experience crystal clear images. The phone is powered with the latest 4G LTE technology and is extremely light weight. You can enjoy 150 Mbps of download speed and 50 Mbps of upload speed to enhance and enjoy true entertainment in style. This handset supports 12-regional languages and you can easily Google, find the translation and wish your regional friends in style in their own languages by switching languages. Cool, right? Doing multitasking is fun on this phone as it has a 1.4 GHz quad-core processing unit with 1GB RAM. Switching between applications is hassle free and quick. You can watch movies and play games without any lags. The 8MP rear camera has an auto focus and inbuilt flash to take the perfect photos. The clarity and rich details ensure to shot perfect selfies from this awesome Micromax Mobile. It has an 8GB internal storage memory to store your favorite movies and songs. Still not happy? The phone has a capacity of 64GB as an external memory storage unit. If this is not enough, it has an amazing 2500 mAh battery size so you can use the phone easily for long time without thinking of charging it till late night. To boost security, the phone is boosted with a fingerprint You can easily unlock the phone with the single swipe option. The phone is shipped with the Android 6.0 Marshmallow update with enhanced stability and improved performance/user interface feature. So, send an extra and creative list of emoji as there are over 200 new emoji are available on the phone. Better Screen Size (5.5-inch and VOLTE capability). Though Micromax has a IPS LCD display for a good picture quality also. Processor speed– Micromax scores a little high here surprisingly with 0.1 Ghz. This is a shame keeping in mind that Wind 3 is manufactured keeping JIO in mind. Network capabilities– Wind 3 wins the race by a very short margin as people used this phone as a hotspot and found the network capabilities very good. Keeping in mind the feature wise comparison, LYF holds aces on paper though Micromax got a better benchmark number and real-time results are little favorable towards it. Though LYF Wind 6 now features flash, still Reliance has to do a lot of work in terms of camera, charging, display, and User Interface. It seems at this moment; the primary objective is towards making Jio better. Though there are some other great players in the market also including Moto E which gives a tough competition to these two phones. To make a smart decision and to pick the best phone, you can search and compare the real-time price and features on a price comparison site. As many phones are online retailer exclusive and some are not, it’s difficult and time-consuming to search the same phone on different portals. Plus, you want to stay updated with the best prices without visiting these sites. A price comparison site can help you search, compare, and shop in a better way.